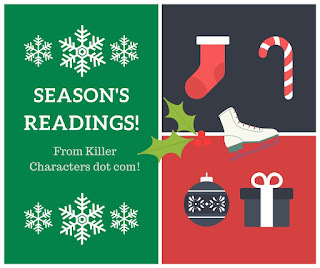 Killer Characters: Have a Cozy Christmas! This is new, this feeling; I'm shopping for Christmas for a little girl - Jocie, my step daughter - and it's all so new to me, joyful and yet terrifying. I'm not quite sure I know how to handle it. My older sister, Becca, never had children so I didn't even have nieces and nephews to practice on. on television, my instinct is to run out and buy it. 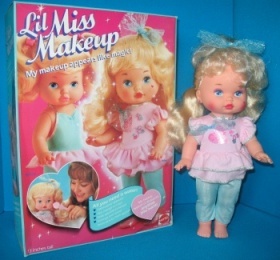 I don't want to see a sad face on Christmas day, and I well remember the Christmas I didn't get the Lil Miss Makeup doll I wanted. I don't remember what I did get, but now I can see why my mother wouldn't have gotten me that doll. Talk about the wrong message for a five year old... makeup on a toddler doll?? But Jocie wants a Finger Baby Monkey that's twenty dollars. Twenty dollars for a glorified finger puppet! But she reeeeally wants it! It's hard to resist that adorable face and pleading eyes; Jakob is leaving it up to me this year. He tells me she'll be just fine if she doesn't get it, and I want to believe him. I could be sneaky and farm that gift out to my mom and dad, who are completely in love with Jocie and would be happy to buy it for her, but then I run the risk of my folks getting her the gift she loves the best this Christmas. I recently came across a gift giving philosophy for children that I really like. It's a rhyme, and goes like this: "Something you want, something you need, something to wear and something to read." I love that idea, and Jakob is on board. So, World Wide Web folk... what do you think? Give kids exactly what they want, or try to choose what you believe is best for them? I'll admit I'm confused. 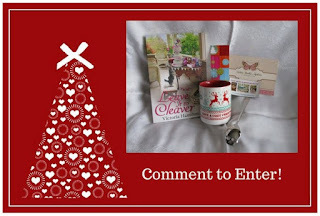 So... Tell Jaymie your thoughts on a gift for Jocie in your comment. Open to US and Canadian entries! 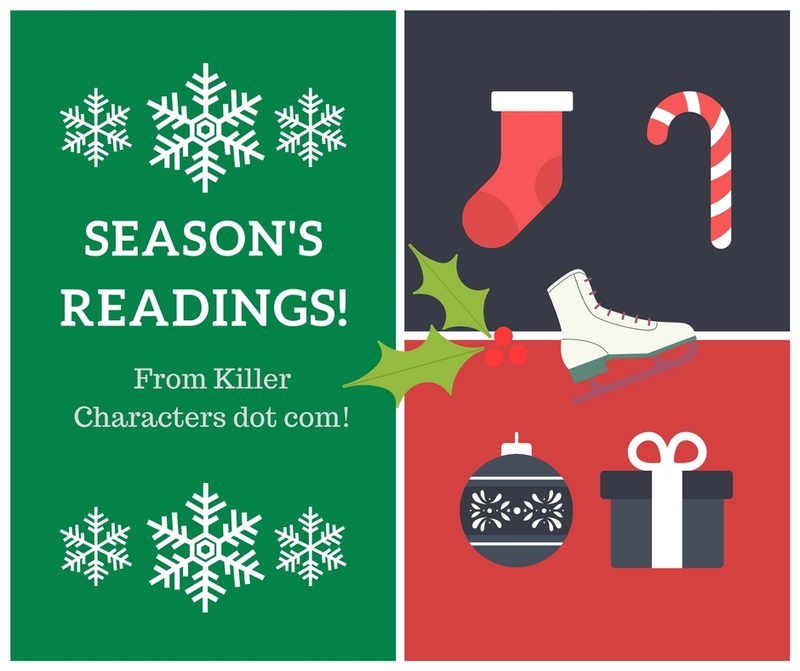 Happy Holidays, all, and enjoy our Season's Readings Month of Giveaways!! I really like the "Something you want, something you need, something to wear and something to read." idea. 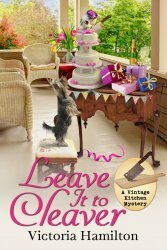 If the gift Jocie wants is a little too expensive and Jaymie's parents could get it, who cares about who gave it to her. It's not really in keeping with the spirit of Christmas to compete over who gives the best gift. This year and every year here’s my gift giving theory! It works for every one. I get one thing they need, one thing they want, and a specified amount of money, however, they must use half of the money given for someone else. So if it,s $100, they must spend $50 on someone else. Last year, she spent $50 on lotions and toothpaste for the nursing home patients. One year it was socks for the troops, there is always an element of giving to those who need it. I try to give my kids a little of what they want, with in reason. I usually get them 4 gifts each, plus a pair of pjs each. Christmas has become all about money and sometimes it makes me very sad but I know my kids enjoy their gifts and that makes me happy. Normally I leave the gift that my child really really wants to come from Santa. Then I will get a few small things that was wanted. The rest Ian always wearable or readable. I very rarely buy toys for my kids so at christmas i do buy that one crazy gift they desperately want . If i can find coupons or kohls cash lol. Happy Thanksgiving and Merry Christmas !!! I experienced that same delimma as a step-mom, and I really don't think there is a wrong decision. If she wants it, and it makes you happy to get it for her, then follow your heart. The poem is something I always tried to remember when my girls were growing up. So, getting the puppet would be fine! What do we do? We're grandma's. So we ask the parents' what we are allowed to buy or what is on the list of approved gifts. Of course when grandson #2 was young and the father had been our Royal Pain as a child, we got even. We bought loud toys and tool sets. I was stopped from buying him a beginner drum kit (I played drums in high school and later in a club). Buy what you can afford it is the thought that counts!!! I think a nice outfit and a book would be just right!!! 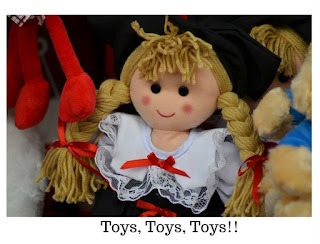 If the puppet is something she wants for a long time - I'd say it could be her "something she wants" :) after all - you can spend less on a toy she MIGHT like or might not, nothing wrong with getting ONE thing she really really wants :) fun post! Once the kids get to school age we start giving them either gift cards or cash so they can start learning to manage money. None of them has ever complained about having money to spend. As long as what the child wants isn't prohibitively expensive or totally age in appropriate, I say get it for them. a journal is always welcome depending on age. a nice bracelet. I'm 83 and my mom started in January suggesting what I wanted so she could get a doll on sale and the sew for it all year. My DIL knows what her 3 boys need and want and I do the special things.I think every child should get one thing they really want.Glad Jakob is on board with the four things idea. RUTH NIXON ruthenixon@sbcglobal.net . I like your rhyme. My kids always knew I would probably say yes to any book. It's so hard to resist their pleading eyes. It's up to the adults to impose some sense. But what fun is that?! In my family it was clothes and books but what I always wanted was books. And likely something stuffed. And a small something you could eat usually chocolate. I never remember being really disappointed when I did not get something. And if I wanted something like a puppet I would get it or a hand made one. Mom and Dad wanted me to make my own entertainment I say hand made because either it would be to expensive or poorly made. I was going to suggest that gift rhyme! I like getting kids what they want most, though, in general. I see no reason not to get a kid something they really want even if it's weird and impractical for Christmas. As long as they are not spoiled rotten the rest of the year. Honestly I get my kids to make a list and we pick from there. Some go in their stockings from Santa, some are from each of them and some from us. I think it's nice to give a child or a family member something they really want, just to see the joy on their face when they open their gift. Thanks for the great giveaway. Happy Thanksgiving. I think if Jaymie follows the philosophy she heard about: something you want, something you need, something to wear, and something to read, that she cannot go wrong (and Jocie would get the monkey finger puppet! One gift at a time while everyone watches & enjoys sharing our Christmas Fortune! Love this idea (especially the something to read of course), thanks for the chance. northmanor at midco dot net. My daughters are allowed to list their top 2 gift requests, followed by ideas of things they need, things they would like to wear, things they would like to read, and finally, a space for any extras that are just 'wants'. They know they won't get everything on their list, but it's a nice blueprint for us to use when shopping. Though we still tend to buy things we think they will like/need even if it's something not listed. I think you should get kids want they want within reason. We decided to do a special thing with our daughters as their main present. We bought Disney On Ice tickets which thru will get in a gift with new pajamas and slippers, it's not terribly expensive, but it's a fun time as a family to make a memory together on top of a needed item. Go for the sock monkey and let her have it. As she gets older you can reason with her better but I remember how magical things were when I was little. I do not have kids, but have plenty of nieces and nephews, I always get each one of them a book at Christmas. I know kids always want the newest thing, but if you really want to get it for her then do it. I know that probably is not any help. Thank you for the giveaway and Happy Thanksgiving. My children are grown and my grandson is still a baby, soi I don't know much about today's toys, but I can share a lesson I learned years ago. Take a good look at that "really wanted" toy. Will it last through months of constant play or fall apart quickly? Base your toy choices on quality. And get loits of books! Plus, get something you lived as a child, and share your memories. Something simple like Silly Putty, Etch A Sketch, coloring books and crayons. Most important, get down in the floor and play! My nieces and nephews always receive a book for Christmas in addition to something they really want. My kids are adults now but when they were little, we got them a toy or two but always got them books for Yule. We never bought expensive gifts and we didn't do Santa. If they grandparents wanted to get them a bigger toy, then that was okay as long as they didn't buy out the store. I think if the grandparents want to get her the more expensive toy, that's fine. Don't worry about them getting her the toy she wants. There really is no contest at holiday time. We should be teaching our kids there is more to the holiday season than getting gifts. It depends on what the kid wants and how much it costs. a $20 Finger Monkey Baby-fairly reasonable. I say get it for her, along with books. But don't spoil the kid and run out and get everything she wants! It is so hard to choose something because there are so many fun toys out there. Books and toys to a local charity for underprivileged children. I'm like you. I want my kids to be happy and thus, I use to go crazy at Christmas. I started the "Wise Men Gift Rule". Three presents and one from Santa, since I couldn't resist. But I really like the rhyme method. I'm going to have to remember it. I say go with the rhyme method. I buy my grandkids the toys they want as long as they're not too expensive. Do you knit or weave? How about something you can do together, such as making things for each other or for charity? Simple looms (potholder?) for you both, or a beginner's knitting kit. I suspect that at that age, you need to consider if it's a chocking hazard.Up to at least 3 years old, you should keep that in mind also. Maybe something a little bigger but still small enough to fit her small hands. When they get tired, just about everything ends up on or in the mouth. Just because you haven't seen her do it, doesn't mean she doesn't. So many things to choose from now.It's been interesting buying things for our grandchildren. jluebke(at)frontier(dot)com. Sounds like a good gift from Santa. Christmas is about the magic and there are many ways to do this. Just remember to start out as you want to continue. Thank you all so very much for offering your suggestions! Speaking for Jaymie, I know her concerns were not for the cost of the gift, which was relatively low, but if the little monkey finger puppet would actually bring her enjoyment enough to be a special gift! Perhaps as the writer (!!) I am remembering back to my own childhood when I DESPERATELY wanted the Barrel of Monkeys game, and when my mother did cave in (which she never ordinarily did) it turned out the game was a silly dud! 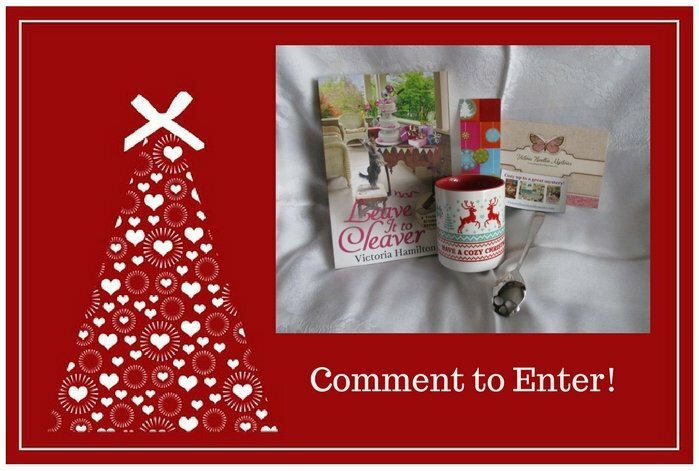 Happy Holidays all... and thank you for entering! I have chosen the winner and will email them!